The need in Honduras may be great, but the impact the country makes on those who come is greater. Although not rich by this world’s standards, what Honduras is a beautiful country filled with a rich culture. Meeting the needs of the people of Honduras takes many forms, including working with feeding centers, assisting with construction needs, evangelism, as well as reaching out to the needy. Come serve in a country whose people make you feel welcome with their exceptionally strong sense of community as you spread the love and joy of Christ in their areas. The need in Honduras may be great, but the impact the country makes on those who come is greater. Leaving Tarpon Springs, FL in 2005 aboard their sailboat “Assurance”, Scott and Susan Ledford arrived in El Porvenir, Honduras to host short-term mission teams and start much-needed ministries in the area. Scott, a seasoned boat builder, immediately found himself in ministry, crafting boats for local fishermen unable to acquire boats on their own. The Ledfords built a church, “The Seaside Sanctuary”, where today services in both Spanish and English are offered several times per week. 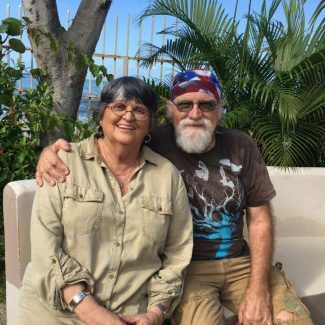 Scott and Susan are active in their community and surrounding areas through support of feeding centers, meeting construction needs, and reaching out to the needy with support to women and orphans.